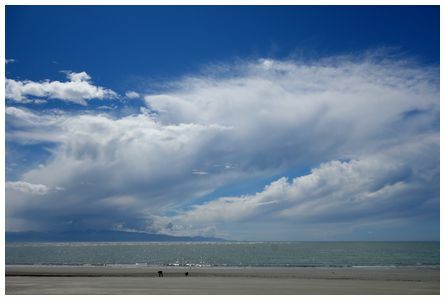 'Hi James, threatening cloudscape looking northwest over Tahuna Beach to Kahurangi and Abel Tasman, with a very black sky behind me. Sony RX100 at f8, 1/1000th, at 13:30 on 25 October 2016' wrote Stephanie. 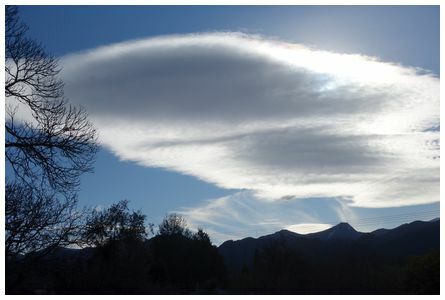 'Orographic cloud formation over seaward Kaikoura range in northwesterly. Very cool! Taken at 16:30 0n 25 October 2016' wrote Phil. 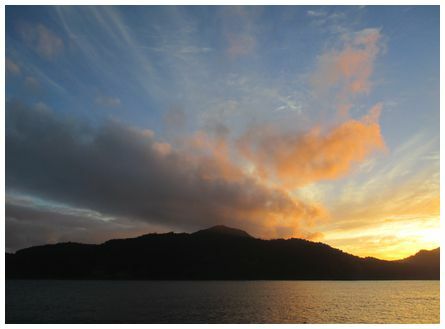 'Weather settling down after a rough day over Raoul Island in the Kermadec Group on 25 October 2016. (Latitude 29°16' S, Longitude 177°53' W). This is part of the proposed new marine reserve and it's whale migration time of year at Raoul - lots and lots of whale families socialising and resting up before moving on to the Antarctic' wrote Lawrie. 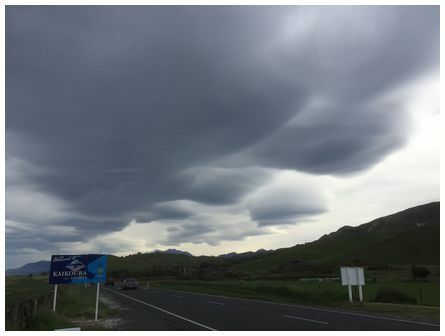 'Taken on 22 August 2016 an afternoon shot looking west from Ngatimoti, some delicate mares' tails under the billowing lenticular' wrote Stephanie. 'On my outing to Bridal Veil falls near Raglan, the weather kept changing every ten minutes. 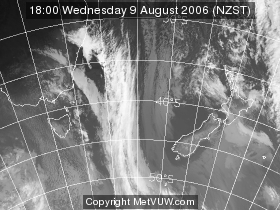 Blowing in from the west, sunshine would be snuffed out, then a short shower and often a little sunshine would emerge again. 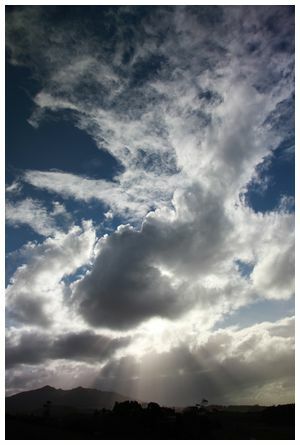 In between these bouts of rain the clouds and sun made for some great views towards Raglan. 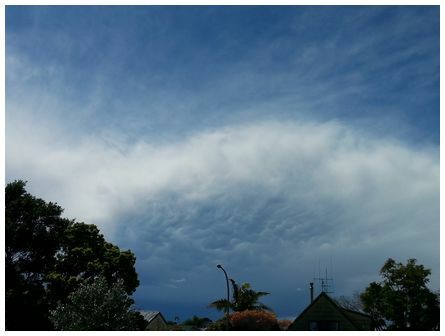 Taken on 31 July 2016 at 15:21 - camera was a Canon EOS with 24mm lens at ISO 100, f/6.3 and 1/500s' wrote Jan.
'Sun breaking out after a heavy shower in Maungatapu Tauranga and highlighting mammatus clouds. 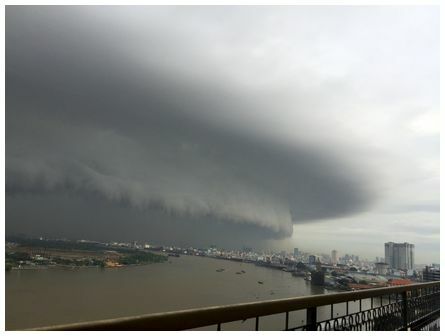 Taken at 13:30 on 7 October 2016' wrote Josefa.